We all have something we are displeased with from time to time. We hear the news and don’t like something someone has done or said, hear about terrible things going on in the world around us, or hear of natural disasters that we have no control over. This is part of the world we live in, but if we focus on the negative, we’ll never see the positive. I choose to focus on the positive. I choose to focus on the future and on what is good and right in the world. The Future Of Good starts with us, and it starts with our kids. November 28th is officially dubbed Giving Tuesday, but we don’t have to stop with one day. We can make every day a day where we think of others. A day where we look to make a positive impact for the future. 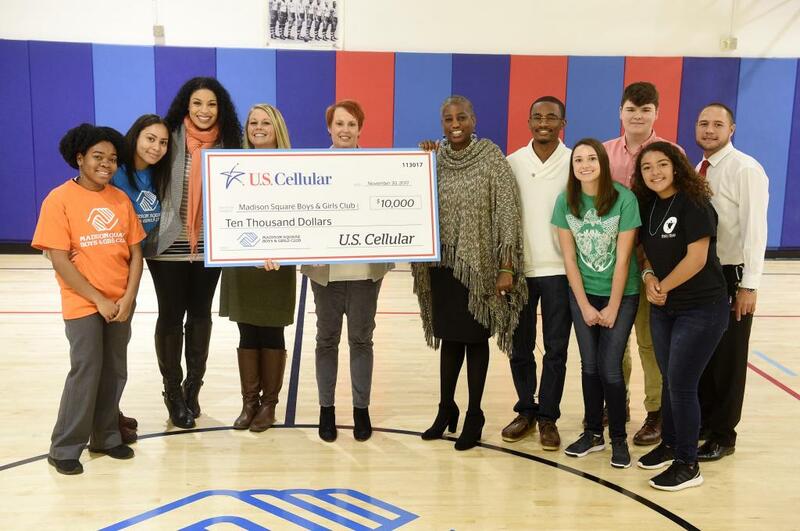 In support of Giving Tuesday (and beyond), U.S. Cellular announced the return of The Future Of Good, a program that champions and invests in youth who make a positive impact in their communities. 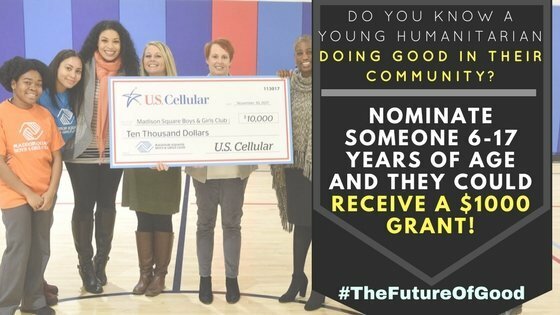 The wireless carrier is celebrating these young humanitarians by amplifying the good they’ve done and pledging a combined total of $42,000 consisting of in-kind and monetary contributions to help each youth to continue building The Future of Good. Fifteen youths representing 12 causes were selected by U.S. Cellular following a nationwide search. Their stories are showcased on The Future Of Good’s website, and four of the unique stories are featured in documentary style videos. 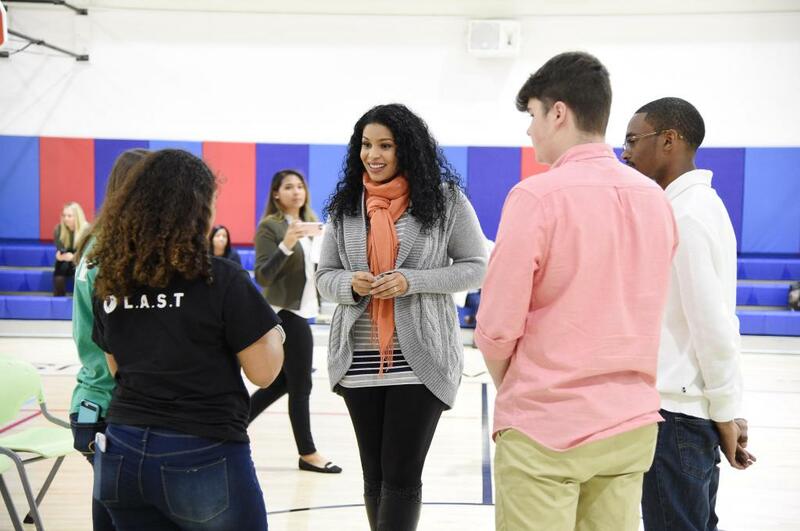 The four featured youth and their families were also brought to New York City on November 30th, where they engaged and shared ideas with local teens at Madison Square Boys & Girls Club in the Bronx, joined by multi-platinum recording artist, actress, and Boys & Girls Clubs supporter, Jordin Sparks. Makayla Harris and Katelyn Higgins (age 17) in Greenville, N.C. – Love A Sea Turtle: Katelyn and Makayla are all in on saving the environment, and the majority of their educational and service efforts are run through the Love a Sea Turtle Foundation, a nonprofit dedicated to marine and ocean conservation awareness. The dynamic duo engages underserved youth through outdoor activities and environmental service projects and by teaching students about leadership development and environmental stewardship. Tommy Hosmer (age 17) in Bangor, Maine – Team Mimi: When Tommy was nine years old, he lost his grandmother to ovarian cancer. For the past six years he has raised more than $41,000 by hosting an annual softball tournament, with all funds going to help the Lafayette Family Cancer Center’s fight to cure cancer. Chris Suggs (age 17) in Kinston, N.C. – Kinston Teens: Chris founded Kinston Teens, a nonprofit organization designed to empower youth through service and civic engagement. Chris and the Kinston Teens work to revitalize the city by adopting and cleaning up streets, and creating gardens in vacant lots. Chris’s work helps put local teens on a positive path to become ambassadors for their community. Nominate a youth in your own community who is making an impact by visiting The Future Of Good. Three winning young humanitarians will be announced on Jan. 19 and each will be awarded $1,000 to put toward their cause. Follow #TheFutureOfGood on social media to stay informed! ¹These results are from an online survey conducted by YouGov on behalf of U.S. Cellular of 519 children ages 8-17 through their parents. The survey was fielded from November 9-13, 2017 with a margin of error of +/- 3%.